A growing number of states have enacted laws which mandate the use of electronic prescribing of controlled substances (EPCS). In addition, the bipartisan package passed by Congress this month includes a provision stating every prescription be conveyed securely, including for controlled substances that are covered under a Part D prescription drug plan or Medicare Advantage Drug Plan. 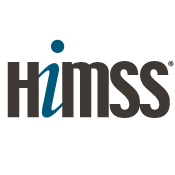 This webinar will focus one of the asks from the HIMSS Virtual March on the States encouraging the adoption or expansion the use of electronic prescribing of controlled substances (EPCS) to combat the opioid crisis and other substance use disorders. Coordinated with other solutions, this aims to improve control of tracking opioid prescriptions and securely delivering them to pharmacies. Paul Uhrig is the Chief Administrative, Legal and Privacy Officer for Surescripts. He is responsible for a number of critical corporate functions, including governmental, regulatory, and policy affairs; legal affairs; privacy; security; internal audit; and certification compliance. Prior to joining Surescripts in 2006, Mr. Uhrig represented Surescripts since its inception as its outside general counsel while at Akin Gump Strauss Hauer & Feld. Mr. Uhrig received his law degree from the American University, Washington College of Law, and his Bachelors of Arts in Economics from The University of Notre Dame. Samantha Burch is Senior Director, Congressional Affairs, for HIMSS. As Senior Director of Congressional Affairs, Sam leads HIMSS’ efforts to identify, establish, and strengthen partnerships with key Congressional Offices and Committees to advance health IT policy. Prior to joining HIMSS in 2015, Sam served as Vice President, Legislation and Health IT at the Federation of American Hospitals and as a healthcare aide and press secretary for Rep. Al Green (D-TX). She also worked with the American Cancer Society, AcademyHealth, and as a policy fellow with the Ohio Department of Health. Sam received a Master of Arts degree in government from the Johns Hopkins University in Washington, DC and a Bachelor of Arts degree in international relations from The Ohio State University. Caroline Juran has been employed by the Department of Health Professions since 2005 and serves as Executive Director of the Virginia Board of Pharmacy. Prior to her employment with the department, she practiced in long term care and community pharmacy, held certification as a geriatric pharmacist, and served as a preceptor. Ms. Juran completed her studies at The College of William and Mary and graduated from the School of Pharmacy at the Medical College of Virginia in 1995. Ms. Juran currently represents District 2 on the Executive Committee of the National Association of Boards of Pharmacy, serves as a member of the Virginia Forensic Science Board and as an ex officio member of Rx Partnership and the Virginia Pharmacy Congress. She participated on the Pew Charitable Trusts Advisory Committee to develop best practices of state oversight of drug compounding. Valerie Rogers is the Director of State Government Affairs. Previously, Valerie worked on health system transformation and integration as the Senior Director of Integration at the Association of State & Territorial Health Officials (ASTHO). She also served as the Chief of Staff for the Baltimore City Health Department where she had oversight of the Department’s clinical information systems. Prior to her time in Baltimore, Valerie also worked for the National Association of County & City Health Officials (NACCHO) as the Director of Public Health Informatics. Valerie holds a Bachelor’s degree in Sociology from Hampton University (1997) and a Master’s degree in Public Health from Tulane University (2001).